It’s vital to create an appealing, functional, and usable web design agency website in order to make your project stand out from the competition. No matter what specific kind of services your company delivers, it’s crucial to present them better than your competitors do. A well-built website can engage the web audience, invite them for deeper investigation of your offers, as well as let the web users get in touch with you. Your website creation won’t cost you too many investments if you select a ready-made design that matches your needs. How to Choose WordPress Themes for Web Design Studios? The choice of the best WordPress themes for web design studios is made easier if you know your goals. What’ the purpose that you pursue? Do you want to sell any kind of products or services? Then you need to pick a theme that supports or includes WooCommerce functionality. Do you want to create a stunning online showcase of your projects? Then a portfolio theme supporting multiple galleries will just come in handy. Is that a business page that you want to create? Then a theme featuring working forms will just come in handy. Below, you can find 10 of the best and top-trending WordPress themes for web design studios that were designed and developed by ThemeRex. All theme are fully editable, delivering a handful of custom features and modification options, letting you deliver the desired presentation to the chosen layout. All of the themes are made to be compatible with the popular drag-and-drop page builders that give you the freedom of their modification without any special coding skills. Additionally, the themes deliver a bunch of extra bonuses, which make them the optimal solutions for small to large-sizes creative web design projects. Modern-looking designs that will make your web design project look competitive. Powerful ThemeRex framework that is flexible and highly customizable. The 1-click installation that will make your web page look equal to the live demo. A professional support team is always ready to assist you in all questions. Eject WordPress theme is a ready-made web solution for the launch of Mobile application development, project management, entrepreneur, branding, and a range of other creative web design projects. It is compatible with WPBakery plugin, which allows you to modify the theme’s layout structure code-free. Also, it is made to be compatible with Revolution slider, Essential grid galleries, a number of widgets, and content modules. AppGeeks WordPress theme will be especially useful for the launch of creative web design studio websites. It will become the perfect solution for the development of both personal and corporate web pages. There are 3 pre-designed homepages included in the theme’s pack. Dozens of pre-made shortcodes are available in the download pack. Deviox WordPress theme is the ultimate solution for the quick start of any corporate or business website. It’s compatible with WPBakery Page Builder plugin. Also, the theme is optimized to work flawlessly with such popular extensions as Slider Revolution, Essential Grid, MailChimp for WordPress, etc. Swoop WordPress theme is the ideal fit for the launch of all sorts of creative digital agency sites. It includes WPBakery plugin, which allows you to bring quick changes to the ready-made layout code-free. The theme is optimized to work flawlessly with such popular WordPress plugins as an Essential grid, Mailchimp, ThemeRex add-ons, etc. The download package contains all essential tools that are needed for the effective promotion and online advertising. This includes Adwords, Adsense, Google Analytics, e-marketing, etc. ProStart is a stylish and modern-looking WordPress theme that will work well for building all sorts of websites related to the web design niche. The theme comes enhanced with the easy-to-modify layouts, stunning galleries, and portfolio options, which will be the ideal fit for the launch of engaging online portfolios. The theme is made to be compatible with WPBakery plugin. The Essential Grid plugin provides for an impressive showcase of your content across all types of devices. Pixel multipurpose WordPress theme features the ultimate modern layout that’s enhanced with multiple shortcodes and blocks. There are 10+ blog layouts and post formats added to the theme’s pack. The theme is ready to be used for blogs, portfolios, and eCommerce sites. It is fully compatible with WooCommerce and WPML. Free WordPress themes for Blogging. The responsive WordPress theme is fully compatible with Gutenberg editor. The modern, flexible, and fully editable layout of the theme’s page includes customizable header and footer variations. There are 20+ post animations being included in the theme’s pack. The navigation of your site’s pages will be made easy and intuitive no matter how a web user accessed your web page. Valve is a modern-looking WordPress theme that will become the ultimate starting point for the launch of creative agency sites. The well-designed page structure of the theme is ready to be customized in a number of ways. For example, you can use multiple color options, 2 header variations, a number of font icons, and Google fonts in order to deliver the desired presentation to your creative agency website. The theme is 100% responsive and RTL ready. Ajax scroll makes it flawless to browse your site’s data. I recommend checking the web design resources for better development. The ready-made theme includes 140+ shortcodes, several portfolios and gallery display options, 5 custom menu locations, and a handful of other options that are intended to be used for the launch informative blogs and portfolio sites. The theme is compatible with WPML plugin and a bunch of premium-quality WordPress extensions. The availability of several working forms and custom widgets will be especially useful when you decide to build an engaging web design studio project. If that’s a portfolio website that you are going to launch, then Crestyler theme will be the optimal solution for you. The responsive and fully editable layout of the theme that features wide and boxed variations. It’s coded with SEO in mind. It’s made to be compatible with all the major WordPress plugins. All themes that are included in the showcase are well-suited to be used for the quick start of appealing and usable online portfolio sites. If that’s a web design agency that you own or a photography project that you’d like to deliver online, then using pre-designed themes from the showcase you’ll be able to bring your project online worry-free. There is no need to worry about the optimization of your site for the flawless performance in web browsers and different screen sizes. All designs are made to be compatible with contemporary web standards. In such a way, you can focus on the content and visual presentation of your online project entirely, without having to worry about the functional side of your site. Just try any of these themes in action and enjoy the ease of worry-free web development on your own. such a great theme, thanks for telling about this topic. Your all themes collection are amazing. But one theme really impress me That is “AppGeeks”. 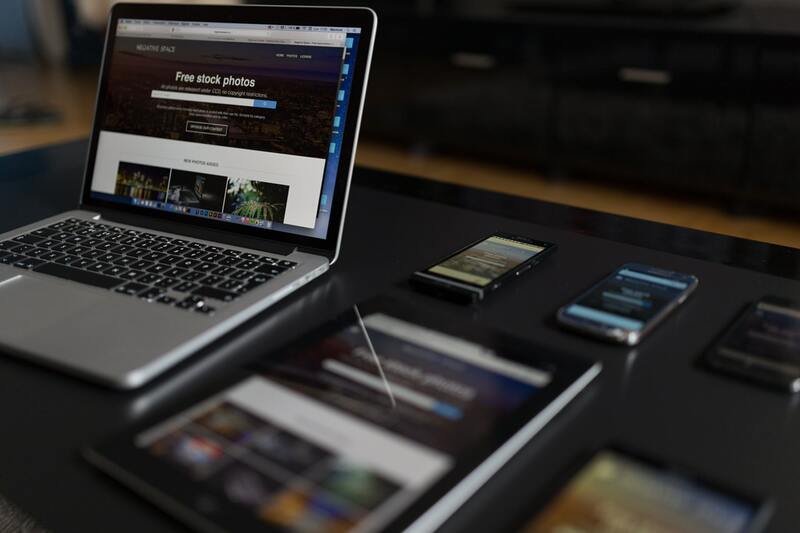 I know something new from your post about 10 Best Responsive WordPress Themes For Web Design Studios. Thank you very much for your helping post. Keep going on writing dear. Hey Robin, All your ideas are just amazing, but I like ultra web studio more than any other theme. it is very easy to use and very finely designed. Your themes collection are just amazing. Thank you so much. loved to read successful blogging. Thanks for sharing this article. Was helpful and informative. This helped me a lot.